It\'s been three years since the devastating accident . . . three years since Mia walked out of Adam\'s life forever. Now living on opposite coasts, Mia is Juilliard\'s rising star and Adam is LA tabloid fodder, thanks to his new rock star status and celebrity girlfriend. When Adam gets stuck in New York by himself, chance brings the couple together again, for one last night. As they explore the city that has become Mia\'s home, Adam and Mia revisit the past and open their hearts to the future?and each other. 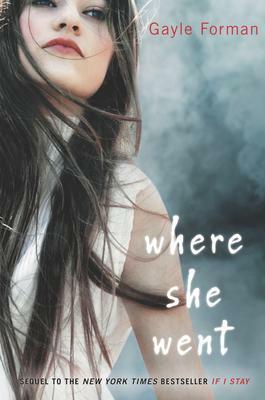 Told from Adam\'s point of view in the spare, lyrical prose that defined If I Stay, Where She Went explores the devastation of grief, the promise of new hope, and the flame of rekindled romance.